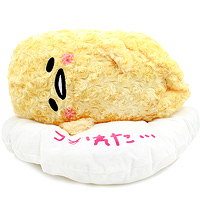 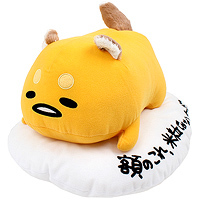 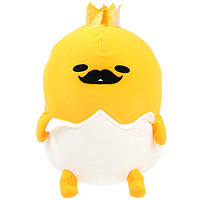 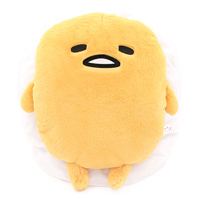 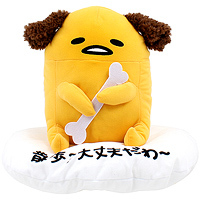 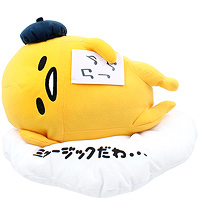 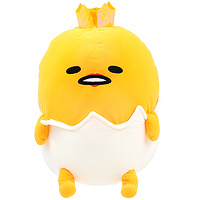 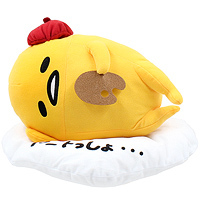 Laze around with your very own large plush Gudetama, the adorable internet-famous lazy egg! 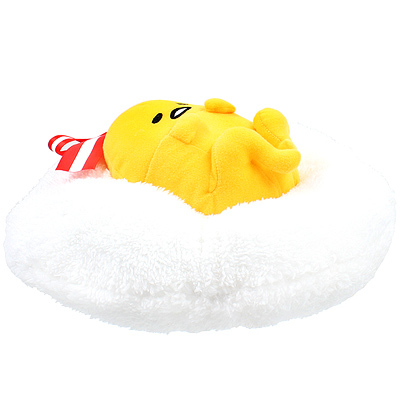 This Gudetama is made out of fuzzy fabric and is relaxing on a supper fluffy and soft yolk cloud. 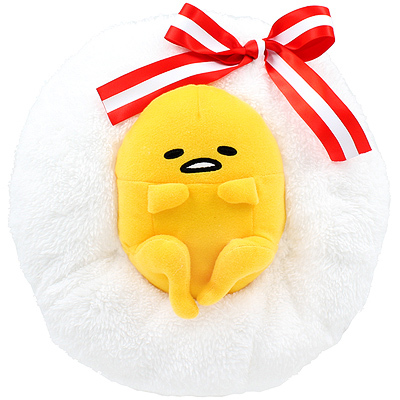 The plush comes with striped red ribbon decoration for extra cuteness.